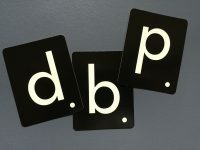 What does your dyslexia look like? This is a question that Sue Bell, an adult literacy support specialist, asked dyslexic adults who came to her center. 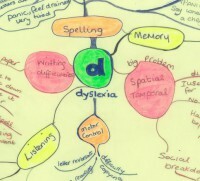 In order to provide picture-thinkers with an way to express their thoughts and feelings, she encouraged adult learners to draw mind maps to express their life experiences with dyslexia. She also encouraged them to take photographs to depict and explain their own thought processes. “Distilling their experiences down onto one A3 sheet of paper helped people to accept their dyslexia and move on to create more positive versions of themselves. “Although there are many overlapping themes within the maps, each map is different from the others. Sue Bell has also created a book called Picture This, published by New Leaf Books, featuring the words and images of her dyslexic students. More information is available on her web site at the link above.